Thank you all for supporting last week’s first link party of the season! We had bunches of great projects linked up, and all were pretty fabulous. Today, we also are giving away a $25 gift card to one lucky feature from last week’s link party. We hope you will keep coming back every Friday to link up your projects….and tell your friends! We don’t have a giveaway this week, but have some coming up so don’t wander too far. 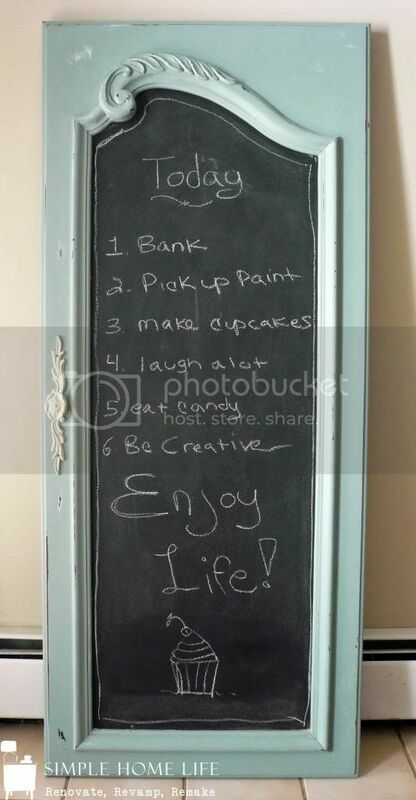 Chalkboards and chalkboard paint is all the rage. In fact, I’m working on a chalkboard for my kitchen as we speak. I love this armoire door up-cycled into a beautiful message board by My Simple Home Life. One of my favorite blogs to follow is Art Is Beauty. She is constantly reclaiming unloved pieces and turning them into works of art. That is definitely true for this amazing dresser! Recently, I have become an in-real-life-friend with Liz from Naptime Decorator. 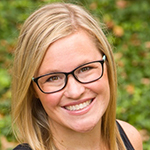 She has done some AMAZING projects and has an impeccable but practical eye for style. Check out these fab faux built-ins that were easy and cheap! I think if I were to have a little boy, I would literally copy this nursery. Seriously, I am in LOVE! Mandy from House of Rose has made such a cozy and personalized space – can she come be my personal decorator?!? Are you ready for Halloween yet? No me, but I’m trying to get there. 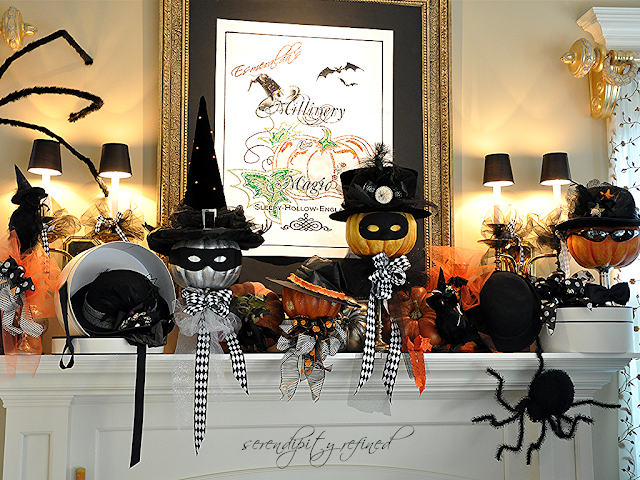 How fabulous is this Halloween mantel? I love that Serendipity Refined put little hats on the pumpkins! Everything looks better with a little hat, right? So many amazing projects and only one gift card…but I chose this super creative throw-back to the 80’s. And as a child of the 80’s, I am drawn to it. 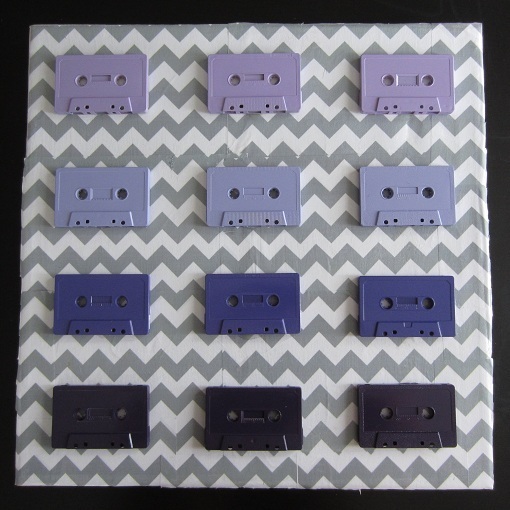 🙂 Sarah at Sarah SaturDIY combined chevrons, ombre color, and cassette tapes. Genius! Thanks again for linking up. If you haven’t already, check out my guest post over at Attempts At Domestication on my reupholstering our dining room chairs. Thank you so much for the feature! It’s so great to be honored at your first ever link party! YAY, thanks for linking up! hope you’ll keep coming back! also, make sure and email me your address so we can mail you your GC. Thanks so much for linking up, Karah! Thank you so much for featuring my chalkboard! You’re welcome…it was fabulous! Thanks for coming back and linking up! Yay, thanks for much for linking up! Thanks for having me…and for linking up! Thanks for hosting. I hope I did this right. Today was my first time participating, although I have tried before. I hope I did it correctly. There are so many wonderful projects going on here! I am inspired by how much talent and free time abounds! I absolutely love that dresser. I think what I lack is the ability to take something like that and visualize what it could be. Stuff like this can only help craft my skill though!!! Thanks so much for the feature! I would love to come be your personal decorator. 😉 Although, I don’t think you need me! LOL! Hoping to link up again!! If you’re ever in Baltimore, you can come consult! Or at least have a glass of wine. 🙂 Thanks again for linking up!